To kick off this week’s round-up, it makes sense to tackle the biggest event in healthcare this week – the annual American Society of Clinical Oncology (ASCO) meeting. 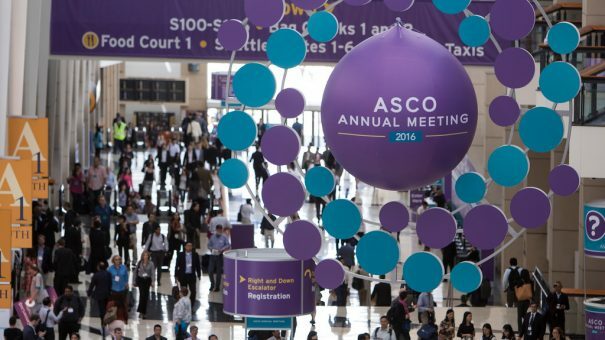 Usually dominated by clinical research into new drugs, this year’s ASCO was also notable for also notable for the large number of innovations in diagnostics and digital health. Of particular prominence were mobile and web-based apps. Moovcare is a web-based app that aids in follow-up monitoring of advanced lung cancer patients. The app allows patients to report symptoms which their doctor can review and contact them if they believe the patient may be relapsing. Patients record symptoms once a week via a form that includes 12 fields and a free text field. The form is then sent on to their doctor. 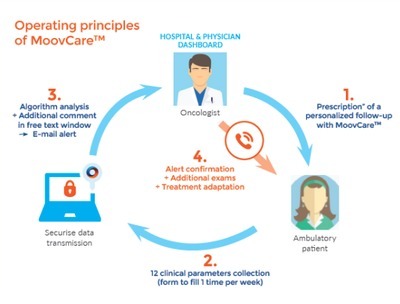 In a phase 3 trial including 133 patients who had completed initial chemotherapy, radiotherapy or surgery for their cancers, the group given access to Moovcare (alongside a usual doctor visit schedule and fewer scans) had a greater percentage of patients able to receive treatment for relapse (75% of the 50% that relapsed). A 50% reduction was also seen in image testing, reducing the overall cost of care for the Moovcare group. Oncologists also reported a much lower burden of additional work than expected, with many claiming it only took around 15 minutes per week to follow 60 patients and a decrease in incoming patient phone calls. Next in line came the Melanoma Institute of Australia’s (MIA) ClinTrial Refer Melanoma app which aims to increase patient trial enrolment to melanoma trials in Australia by providing more access to information. Study results showed that over a two-year period, trial recruitment increased by 127% from 97 patients to 220, showing that awareness of melanoma trials had been positively affected. A final example of ASCO’s digital-focus this year came in the form of a slightly different app from the previous two – this time attempting to reduce the financial burden experienced by cancer patients. In a pilot study of 20 cancer patients, a web-based app entitled PAPNavigator (currently in closed beta testing) attempted to reduce out-of-pocket treatment costs by connecting patients directly to financial assistance options tailored to their individual circumstances. In all three incidences, digital solutions to cancer-related issues met their objectives, proving that electronic platforms deserve to be part of the ASCO conversation just as much as new clinical research does. Read the Moovcare abstract here. Read the ClinTrial Refer Melanoma abstract here. Read the PAPNavigator abstract here. Australian digital health specialist iPug has proprietary technologies Research Suite and Health Suite designed to provide better platforms to gather information from clinical trials and provide personalised health campaigns. iPug’s app Cool Runnings focuses on childhood injury prevention. Research Suite – launched this week at the BIO International Convention – brings an innovative method of recruiting and engaging participants for research projects, providing a content management system, real-time reporting tools and a gamified mobile reward app. The intention is to revolutionise the management of research projects and dramatically reduce the time taken to recruit participants. Its reward app motivates participants to continue to make healthier and safer life choices. 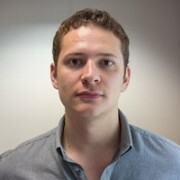 Health Suite – which iPug refers to as the ‘worlds-first mobile adaptive education platform’ – utilises smart-devices to raise awareness of public health issues, delivering individualised health campaigns alongside a reward-based communications platform which recompenses participants for improving their knowledge about a specific health subject. Last week, Royal Philips continued its all-systems-go approach in its new digital healthcare focus by expanding its Internet of Things (IoT) technologies. This week, it switched its focus to wearables. Through a collaboration with Pegasystems – providers of strategic business applications – the company is hoping to enhance the use of wearables in healthcare by connecting its HealthSuite Cloud platform with Pegasystems’ Pega Care Management Application. The partnership will see the creation of a real-time resource for care providers to instantaneously access data regarding a patient’s health. For example, a patient with chronic obstructive pulmonary disorder (COPD) using a HealthSuite-connected inhaler can monitor their own oxygen levels in real-time which can then be relayed directly to caregivers. Care can then be tailored for each patient and any necessary intervention can be made quicker. Pegasystems now joins a growing list of companies who have joined Philips’ open cloud system which promises to overhaul global health management by connecting millions of devices around the world.